You never know when you need to perform a WordPress Password Reset. Things happen, staff changes, digital marketing and WordPress developers change teams and things get lost or reset. Today, Trinity Web Media a NJ Web Development Company, walks you through two different ways to reset your passwords in WordPress. 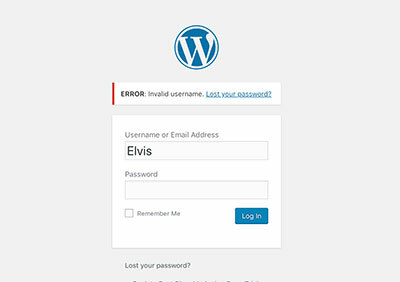 There are two common ways to reset WordPress login credentials. The first (as shown) is through the WordPress interface, and the other we will show you in through your web hosting cPanel’s phpMyAdmin. 2. Enter your username (or email) and enter what you believe is your password, even if you know it is wrong. 3. When the wrong password is entered, WordPress will prompt you with a password error message and an ‘Lost Password’ option to click a link to reset the password. Click that link and follow the prompts to enter your username or registered email address. 4. Once you receive the password reset email, click the password reset link supplied to you and enter a new password. That’s it…super quick and easy! If you are in the unfortunate instance where you do not have access to the site, or access to a registered email address — don’t fret there is another way to reset your password. 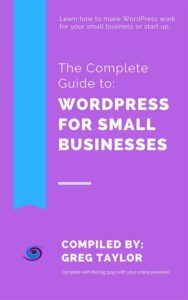 It’s a little technical and is predicated on you having access to you WordPress host and the cPanel. 3. Expand the database and look for the users table. Some WordPress databases have the prefix of wp_ others use different prefixes. Click the wp_users database table and look for your username and click edit. 4. You will see an encrypted password in the designated field associated with that specific username. Enter a new password in this field. 5. 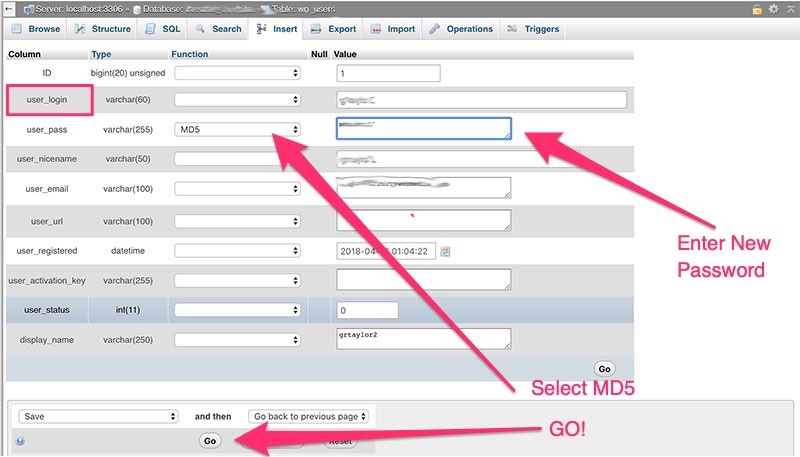 Once a new password is entered, as shown above, select MD5 and click GO! Your WordPress password is reset. From here, navigate back to the login as described above and login to your site. This may seem very technical and scary to some users, but if you follow these instructions step by step you will be safe. As always if you are not comfortable performing this function within your SQL database, please consult a WordPress Professional. Thank you for reading. For more content like this in your ears, check out The New Marketing Show on Spotify, iTunes, Stitcher or wherever else you get your podcasts.